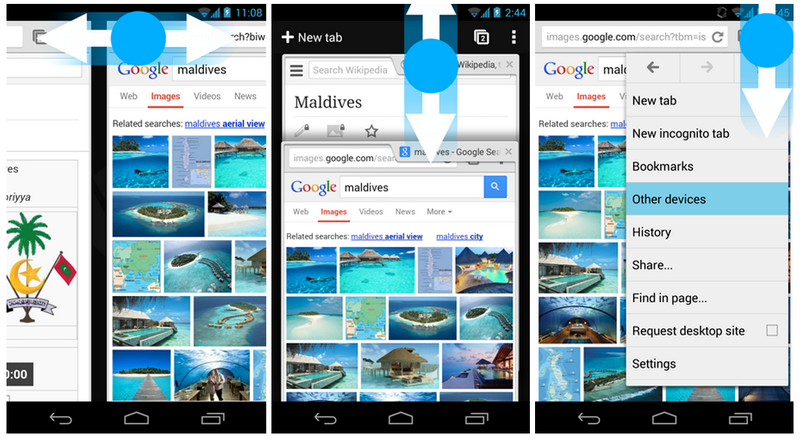 In Chrome for Android, new gestures make it even easier to get where you want to go. Swipe horizontally across the top toolbar to quickly switch tabs (this gesture replaces swiping from the edge of the screen). Drag vertically down from the toolbar to enter into the tab switcher view. And drag down from the menu to open the menu and select the item you want without having to lift your finger. Get Chrome Beta today (for desktop and Android) to give these latest enhancements a test drive. If you are interested in APIs and other developer features we are introducing in this version you can get more details over in the Chromium blog. 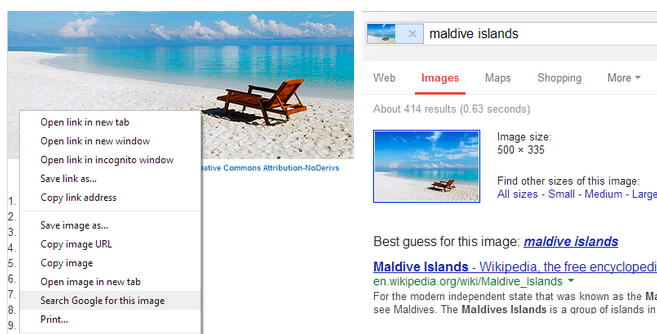 Have you ever seen an image on the web and wanted to know more about it? Well, with today’s Beta release of Chrome you can quickly discover all sorts of content related to an image by right-clicking on it, or by long pressing it on mobile devices, and selecting the option to search for it within your default search provider.